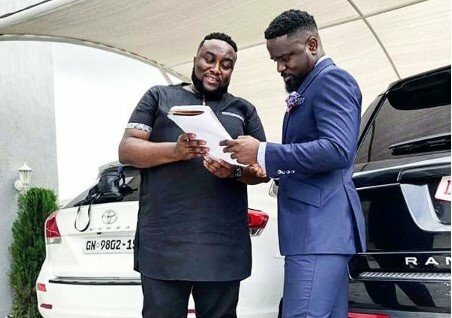 Angel, manager of multiple awards-winning rapper, Sarkodie has rubbished claims that his artiste is occultist. There have been several rumors that Sarkodie belongs to an occult group. The latest one, however was that of a self-acclaimed prophetess. It was highly published ew days ago that the said prophetess claims the ‘Adonai’ hitmaker is an occultist and warns him to desist from practicing occultism or else he will disappear just like Castro did. But Sarkodie’s manager, reacting to the news says his artiste is not a member of the illuminate group. According to Angel, the signs Sarkodie does in his photos and music videos are just for life. steps to be taken in order to save Sarkodie’s life, because he’s not getting the prophetess very well.